For those of us who work at desks, a notepad is priceless for jotting down an idea or todo before it slips our mind. 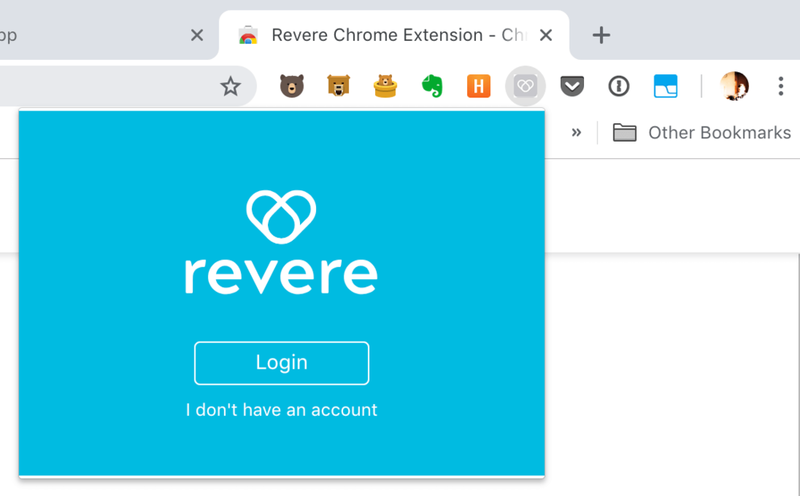 The Revere Chrome extension is designed to be your notepad for your notes about people. 2) The extension appears in the top right of your browser. Now just log in and start adding notes. All your notes will be added to the Note Inbox in the mobile app. The Chrome extension is currently only for adding notes. The Chrome extension supports the [Tab] and [Enter] keys for navigating to the save button. When you’ve typed a note, just hit [Tab] then [Enter] to save the note and you’re ready to add another one.